Mittelstadt | CWE Real Estate Experts - Moving? Yes, there's an app for that! Moving? Yes, there’s an app for that! So, now that you’ve closed on your beautiful new Central West End home, it’s time to pack up your belongings and MOVE. It’s the kind of process that you forget is so awful until you have to do it again. You may look around your current home and think to yourself “It’s not that bad. I purge regularly, so I don’t have that much stuff.” Then you start to unload cabinets and drawers and closets and your belongings seem to multiply exponentially. Suddenly, you need more boxes. And maybe you need another truck. Sortly helps you keep track of items you pack up in boxes. 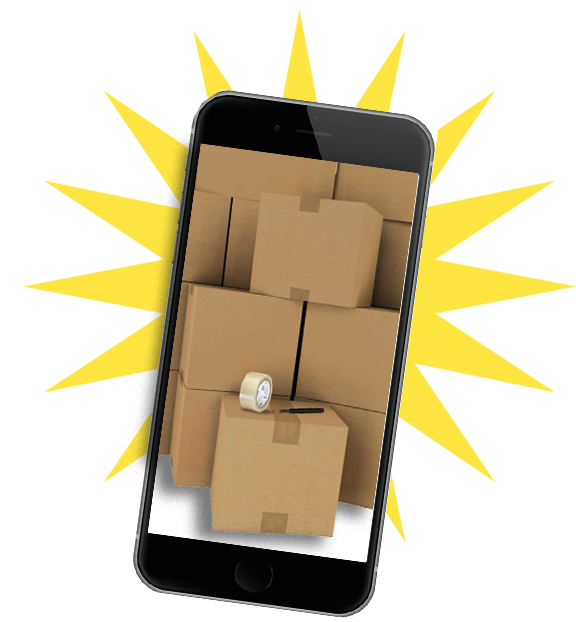 Take a picture of your individual items before you box them and then print customized labels with QR codes. Once you’re ready to unpack, you can scan the codes to identify contents and distribute. Unpakt makes it easy to compare different moving companies prices and reviews from one place as well as create inventory lists and plan details in real time. Moved is a concierge service that lets you hand over the details of the move to a personal assistant. The service, which itself is free of charge, will arrange for movers, cleaning, storage, insurance. You can even arrange to sell your unwanted items with the app! Now, go get moving! Hopefully this time, it’ll be with a little less headache.